Hari K Sreedharan is a graduate in Chemical Engineering and Industrial Engineering with a Master of Business Administration. He has also completed Post Graduate diploma in Financial Service Underwriting. He is a Certified Management Consultant and he has over 25 years of experience. His areas of specialization are Business Finance,Mortgages,Canadian Immigration and Import-Export Syndication. 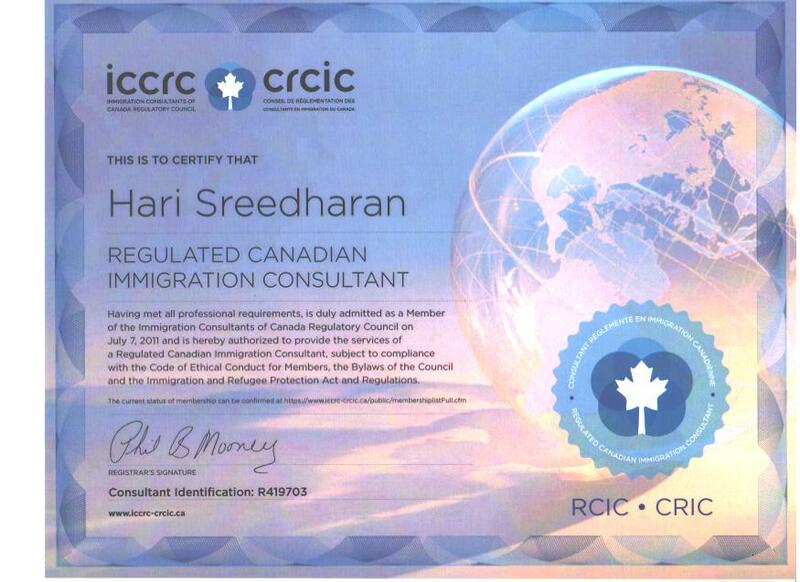 He is a full time member of Canadian Society Of Immigration Consultants.